Julie's Crafty Space: Freebie for all entries to Delightful Sketches Challenge 8. 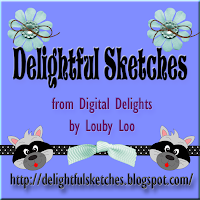 Freebie for all entries to Delightful Sketches Challenge 8. You've still got a few hours to enter Delightful Sketches Challenge 8. As an added bonus, not only do you have a chance to win a great prize and a chance to be next Guest Designer at Digital Delights!! but every entrant (including those already entered!!) will get a FREE digi stamp of Dracula Ridley! !